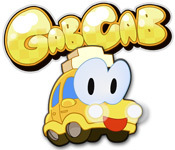 GabCab is rated 3.5 out of 5 by 6. Rated 5 out of 5 by Shiroangel from Cute Game I personally absolutely enjoyed this game. It reminds me a lot of Airport Mania (same maker) and it is the same layout. It is extremely cute. It is however a little slow and repetitive with no actual story line. It would be an awesome game for children. I for one am totally alright with slow and repetitive and will be buying this game. This is one trial that to me just flew by and was disappointed when it ended. Rated 5 out of 5 by dawn_1 from Cute and fun game An adult might find it too slow but this is a perfect time management game for kids. Rated 4 out of 5 by helen_jane from Deceptively Simple I can't agree with reviewers who said this game is too simple and repetitive and only for children. 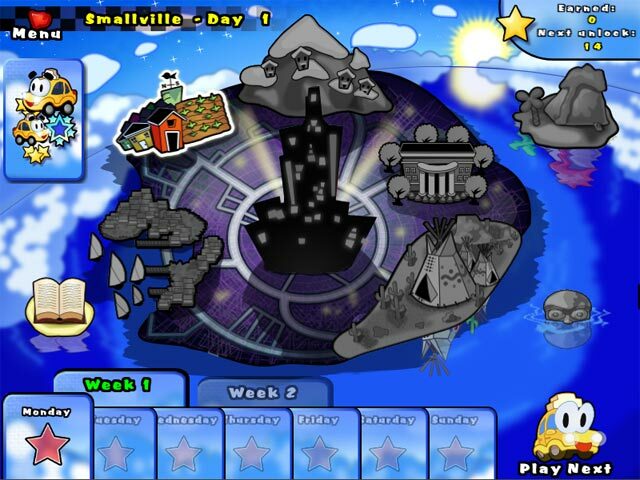 After the first several levels you get several choices of how and when to play (or replay after you've gotten some upgrades) each level, which often requires that you preview each level before choosing your options from what you've earned. 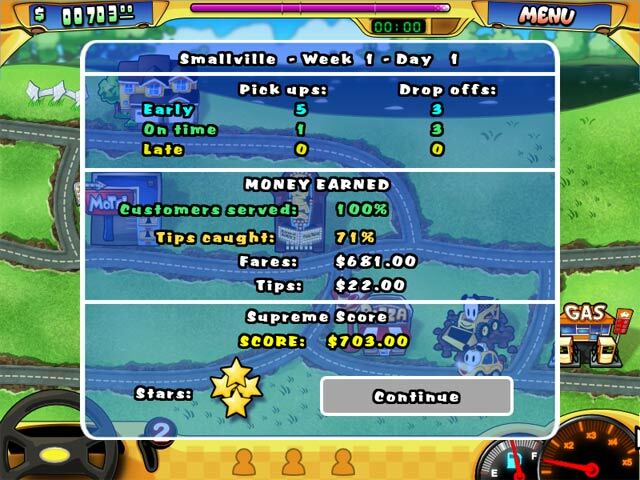 And you must pay close attention to the order of picking up/delivering your fares and using your chosen boosts in order to get perfect scores (going for perfect is the only way to play, IMHO). 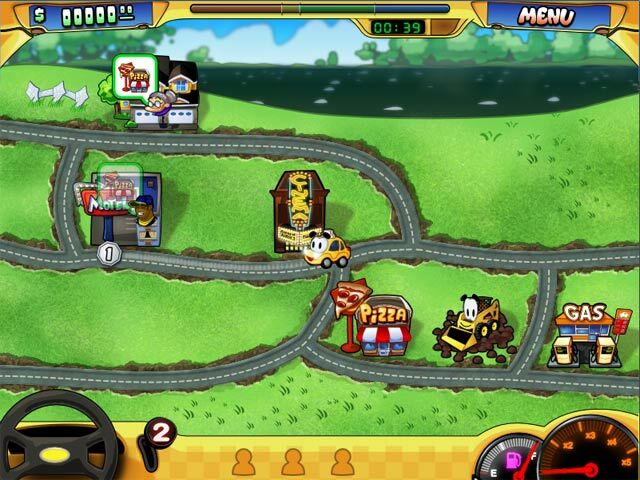 I liked Airport Mania and I like this game. Lots of play time, and worth playing over again. I couldn't give a whit about a story line in this game. You're a cabbie. You drive people around. You don't get mugged or shot at or have some evil thing chasing you, you're not hoping to meet your soul mate on one of your pickups, or suffer through any other absolutely lame inane story line a lot of BF games have, which suits me just fine. Rated 3 out of 5 by melccb from An odd...but challenging game Its an... interesting game where you go around these different towns picking up customers and then dropping them off. I had fun trying to get perfect on every level, which is NOT easy sometimes. So if you like that challenge, go ahead. It's a very long...long game. There are a ton of upgrades that you can buy which makes the game a lot better. But it gets tedious REALLY REALLY fast. Your choice. Rated 2 out of 5 by NancyDrew27 from Dull..... This game was more for young children. I found it very dull. I wouldn't advise playing. It may look cute and exciting but well.... Looks can be decieving. Rated 2 out of 5 by brookings from Not a Great Game This game is from the developers of Airport Mania which was an excellent game. In this game you just run around picking up and delivering customers. I only played it once and delted it.